Although ASD may vary dramatically in terms of severity and impairment, it is a condition that affects people of all ages and from all walks of life. 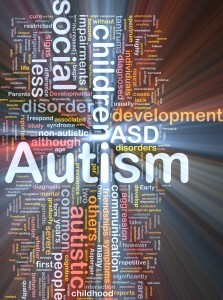 It is estimated that roughly 1 in 88 children will have some form of ASD. Scientists and researchers are currently unable to pin point the exact cause of Autism, but there is increasing evidence to support the notion that it is a combination between genetics and environmental factors during brain development. The first is that scientists have identified specific genes that are related to the disorder. The third are imbalances of serotonin and other critical neurotransmitters. Together these traits suggest that ASD could be caused by the disruption of normal brain development during the fetal stage, caused by defects in the genes responsible for brain growth, and possibly as a result of the influence of environmental factors on gene function. While these studies show promise, research regarding this matter is still in its infancy, however, the old idea that parental practices are a potential cause of ASD has been thoroughly disproved. Coming to terms with the reality that your child may be “on the spectrum” can be one of the hardest things a parent will have to face. However, it is important to pay attention to your child’s development so that you are able to catch warning signs early on. If left unrecognized or untreated, the symptoms and effects of ASD can worsen over time and inevitably exacerbate the disorder as a whole. 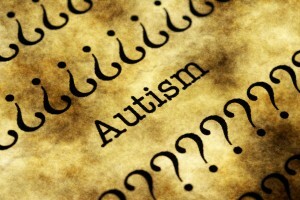 In addition, Autism affects a person’s emotional development as well. Those who have been diagnosed with an ASD may have an extremely difficult time recognizing and interpreting the emotions of others. They tend to have trouble reading non-verbal cues and body language, and may frequently misinterpret or react unusually to the emotions of another person. In turn, these factors make it very hard for them to sympathize and empathize with their family, friends, and peers. In order to determine weather or not your child has ASD, healthcare providers will typically request that you complete a questionnaire or other screening instrument about the child’s development and behavior. Most screening instruments will require input from both the doctor and the parent, but observations made at home will be vital for providing medical professionals with an accurate idea of the level by which your child may be affect by ASD. If these preliminary screenings show evidence of an ASD, am more comprehensive evaluation will be needed. This more extensive evaluation will require a team of specialists, including a psychologist, neurologist, psychiatrist, speech therapist, and other professionals that specialize in ASD. Once assembled, this team will then conduct a rigorous neurological assessment through a series of in-depth cognitive and language tests. After the assessment, a prognosis will be delivered outlining the specific disorder or difficulties that may be the cause of your child’s struggles. Some broad categories that children often fall into upon diagnoses include, Asperger’s Syndrome, for kids who display autistic behaviors but have well-developed language skills, childhood disintegrative disorder, in which they develop normally and then suddenly deteriorate between the ages of 3 to 10 years and begin to show increasing signs of autistic behaviors, and PPD-NOS for those children that exhibit some autistic tenancies, but not enough to be diagnosed will classical autism. While children with ASD can suffer from additional learning and attention issues, it is important to define and identify the distinction between the two. There is a lot overlap between the symptoms of ASD and other learning/attention disorders, and as such it can be rather difficult to recognize these differences. However, the main struggle for kids with ASD is communication, social comprehension, and repetitive routines and behaviors including narrow or obsessive interests. These ritualized habits and highly focused interests are not typical of kids who only suffer from learning and attention disorders. Similar to their peers with ASD, children with learning and attention issues may struggle with social skills and communication as well, but those problems are related to their specific learning disability. For example, a child with a visual impairment may stand too close to someone while having a conversation because he or she might have poor depth perception. One the other hand, a child who suffers from an ASD may stand too close to someone because they have a poor understanding of personal space. Seeking professional consultation for your child, by way of neurological assessment and evaluation, is the best way to help you determine which of his or her symptoms are the result of ASD, and which may be caused by an underlying learning or attention disorder. This method employs the use of highly structured and intensive skill-oriented training sessions designed to help children develop social and language skills. Family counseling for the parents and relatives of those who live with a child suffering from ASD have also been shown to be effective. These kinds of family therapy sessions help individuals cope with and understand the difficulties of living with an ASD. A wide range of medications are prescribed by doctors to help combat specific symptoms of ASD, such as depression, anxiety, and obsessive compulsive disorder. It is also common for antipsychotic medications to be used for remedying behavioral issues, while seizures can be treated with any number of anticonvulsants, and ADD/ADHD drugs are effective for decreasing hyperactivity and impulsive behavior. There are also a litany of controversial and scientifically unproved therapies out there that should be carefully researched and seriously evaluated before attempting. In some cases dietary interventions have been shown to help certain children with ASD, but parents should always be sure that they keep a close eye on their child’s nutritional regimen. While Autism Spectrum Disorders can be frightening and confusing at first, it is only a matter of time before you find the treatment that works best for your child. People with ASD can go on to lead completely normal and successful lives, and often do so in truly incredible fashion. Through dedication and commitment to these therapies, the life of a person suffering from an ASD can be dramatically improved, giving them a whole to lease on life.